“According to the projects selected to Cartoon Movie, taking place in early March, all Nordic countries are well represented promising good days for the Nordic animation boom. Both Norway and Denmark have more than one feature in line, Sweden is also along with one interesting project like Latvia and Lithuania too. Finland’s Tirlittan has newcomers on the producer side but not as its director. Tirlittan is a very popular children’s story dating back to the year 1953 when published as a novel by Oiva Paloheimo. Read by many generations it is a true classic with the tragic story of an orphan girl. The story has not been animated before, but a live action film was made already in the 1950s. However, the tv version from the late 1960s is more popular. The first animated adaptation will be directed by Kari Juusonen, credited for both Niko movies and Angry Birds Stella series just to mention a few highlights of the 2001 Cannes-winner. The producers Kaarle Aho and Kai Nordberg are least newcomers in live action productions. Their most recent successes The Fencer was nominated at the Golden Globes and shortlisted at Oscars. Producers did a tour in USA both for promoting the film as well as new projects. The interest in Kari Juusonen’s next feature has been flashy, say both producers. 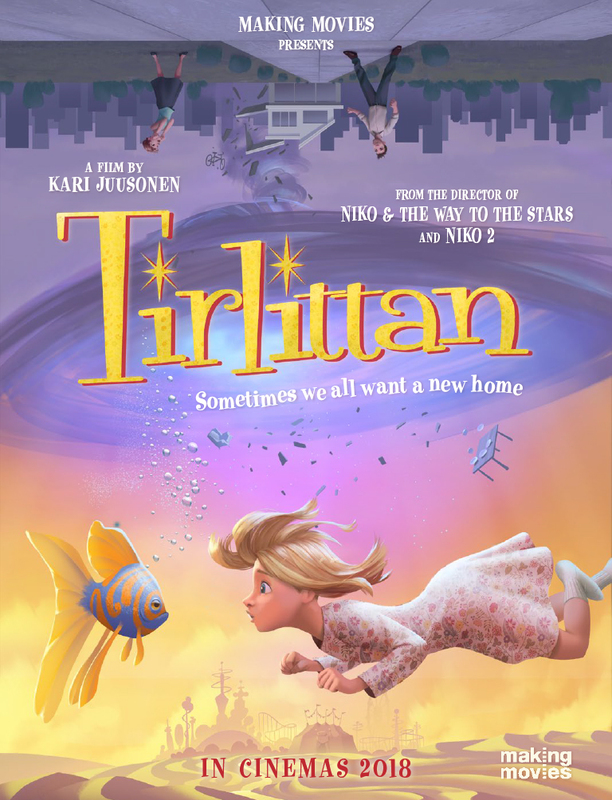 Tirlittan is a feature animation about a small girl whose home is struck by lightning. Tirlittan, a girl with golden hair, wanders around the world looking for a new home. She comforts her broken heart and gets to know different kinds of families and parents before finding her own. Tirlittan flies away by a struck of lightning and ends up in a canal, just for being saved by a nice talking goldfish. 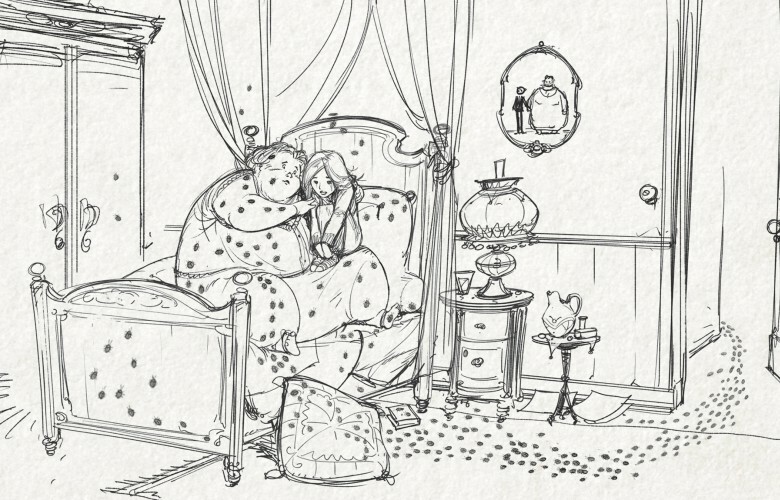 She starts to look for her home and parents and, while doing this, she escapes the ugly Anglerfish and gets to know the Perfect Couple, the Family with Dozens of Red Haired Children, Adalbert the snobbish ghost and the Gout Lady. But it is her own heart she needs to learn how to deal with before she can find her home again.